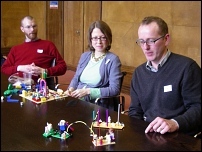 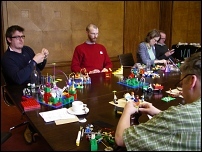 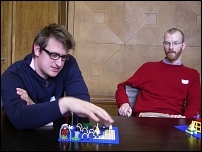 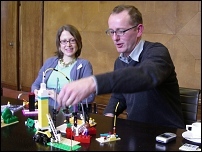 Lego Serious Play can be used for a range of applications. 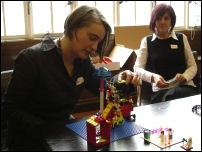 At a recent event at Royal Institute of British Architects (RIBA) in London, we used the method to develop a research bid about play and creativity for the AHRC. 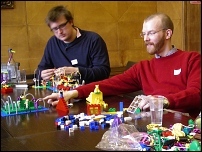 Session led by David Gauntlett and Stuart Nolan. 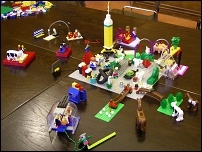 (See main page about the Lego project). 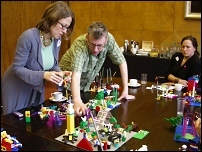 Lego Serious Play enabled participants to build metaphorical models of their feelings and ideas about a particular idea (in this case, play), in relation to themselves and their organisations, and then put together a collaborative model, representing shared concepts and aspirations.